We are thrilled to present our 2016 Weissman Costume Collection! 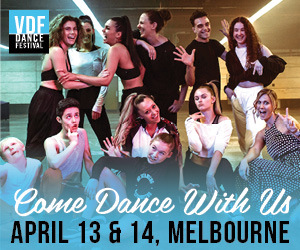 It features so many stunning, fresh looks to complement your choreography, and give confidence to your dancers. Find hundreds of styles from First Steps to Hip Hop with prices starting at $29.99. 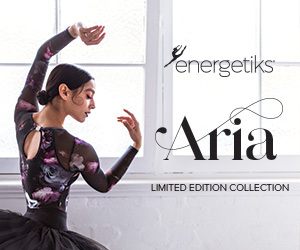 Select quality dancewear and tights qualify for your volume discount – saving you even more! Conveniently shop our entire collection any time day or night, watch videos, and track your shipments all at WeissmansCostumes.com. At a recent costume show in New York City, an Australian dance instructor enthusiastically described WEISSMAN as “Australia’s best-kept secret!” Get in on the secret—apply for a FREE account* and reserve your 2017 Australian Costume Catalogue today. 2016 Special Offer for Australia & New Zealand: An additional 15% discount will automatically be applied to your account. See WeissmanCostumes.com/Australia for details. This party dress features a sequin spandex bodice and collar with matching mesh illusion neckline. A stretch satin cummerbund is accented in the back with a large satin bow. A full curly hem tutu is crafted from layers of glitter tulle. Nylon/spandex trunks attached. Imported. 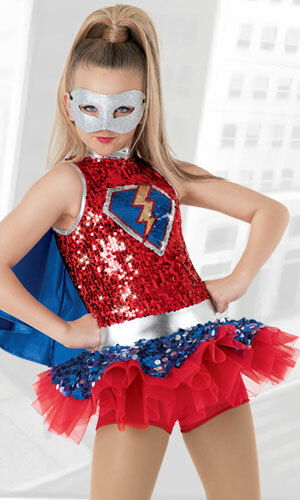 This superhero ensemble is sure to Save the Day with an Ultra Sparkle sequin spandex bodice and sequin lightening emblem appliqué. Paillette sequins cover the topskirt and a tricot underskirt adds volume. A detachable satin cape is included to complete the hero look. Imported. Includes: Satin cape, metallic cuffs. Optionals: Glitter mask (99-8780); and/or metallic spats (8-8745). A crystal cluster applique at the waist defines this elegant lyrical dress. The bodice is crafted from crystal sequin stretch lace over nylon/spandex. The lace forms the long sleeves and asymmetrical skirt with side slit. Nylon/spandex trunks attached. Imported. Includes: Crystal cluster appliqué for hair. All included! A zebra sparkle spandex bodice with hologram sequin inset waistband and attached pettiskirt. It is topped with a detached denim vest with matching hologram sequin shoulder insets. Finish the look with a zebra hair bow and legwarmers, and sequin mitts. Nylon/spandex shorts attached. Imported.